Preparing for our recent trip to Jamaica, I ran around like a madwoman packing, cleaning, watering plants, doing laundry, preparing pet meals. At 2 a.m. on our departure morning, as we left the house, I said to my husband, “My hip feels funny.” Uh-oh, little did I know much more than our destination was on my horizon. We arrived in Treasure Beach, Jamaica, after a very bumpy, winding two hour trek over the mountains. No worries man…we were soon in the beautiful ocean. Wouldn’t you know it, a wave took us both down, and of course, you guessed it…down I went on the hip that was already feeling “odd.” Within twenty-four hours I was in extreme pain and could hardly move. I took over-the-counter pain relievers, and in the place of a heating pad we used the hottest hot water our room put out, wet a washcloth and placed it in a plastic bag. It worked wonders when placed on the injured area. The heat lasted quite a while and definitely soothed the pain. We are at home now, and I am still feeling an occasional twinge. I’ve continued using the plastic bag and wet washcloth, but now I heat it with my microwave for about forty seconds. 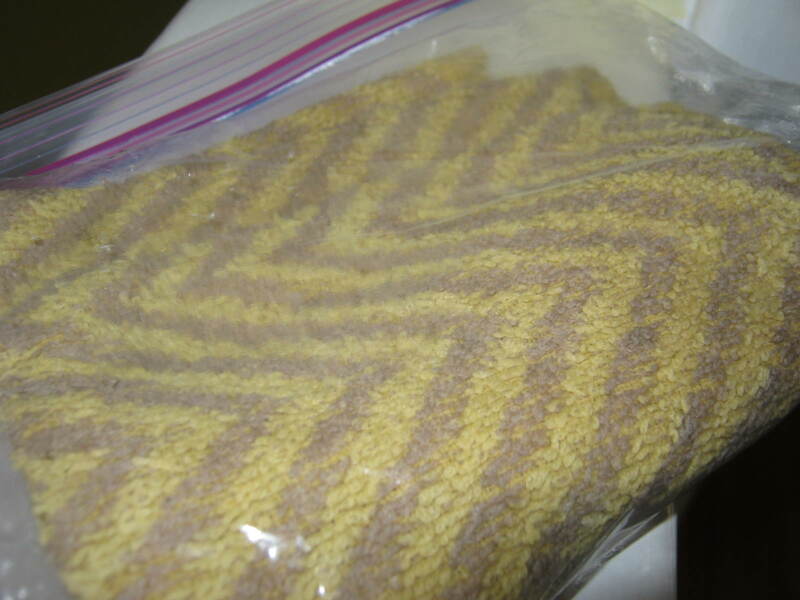 Be aware the washcloth becomes extremely hot, and cannot be placed on bare skin. Long story shortened: a hot washcloth in plastic is a good stand-in for a heating pad. Kathy, this is the back pain you were talking about and the holiday. Hope you could see the sights and enjoy some of Jamaica even though in pain. I am glad you are feeling better and appreciate your ability to share something you learnt with others, even while you were not so well yourself. Praying for healing and a speedy recovery. Thanks Susie, if I don’t try to do too much it seems better. Oh dear, how unlucky is that! Still, I am glad that you were so resourceful and that the pain subsided eventually. I must remember that trick for next time I suffer an injury. Take care now! It’s only a little tender now…I’m on the mend. It is a good tip isn’t it? I’m glad I knew about it. It is also so much easier than storing a heating pad if you only need it now and then. I have WAY too much “stuff” in my house now. It’s good to just pull a washcloth and plastic bag out of cupboards and closets. You know…I once had one of those and have forgotten about it…now where in all this mess can it be?